Aiphanes are a type of spiny palm trees that are native to the tropical regions of Central and South America, as well as the Caribbean. There are 26 species in the genus Aiphanes, which range from small understorey shrubs with subterranean stems, to sub-canopy trees that can be as tall as 20 metres. Most Aiphanes have pinnately compound leaves. This means that the leaves of these trees are divided up into leaflets that are sort of arranged like a feather, with pairs along a central axis. 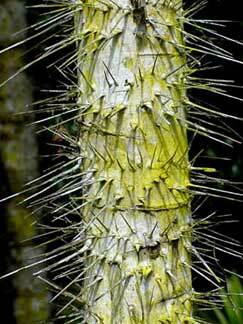 The stems, leaves, and even sometimes the fruit of these trees in this genus are covered with spines like a cactus. The plants flower repeatedly over the course of its lifespan, and they have separate male and female flowers. 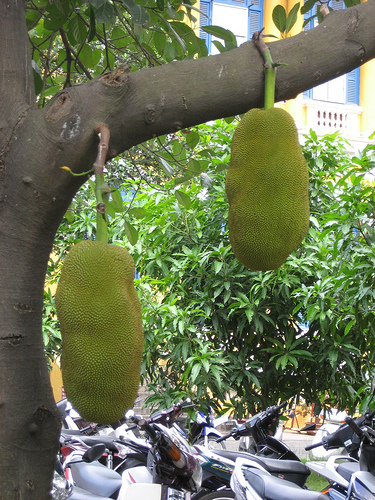 The fruit borne by Aiphanes are eaten by several mammals and birds, including at least 2 Amazon parrot species. Some species are single-stemmed, while others are multi-stemmed. 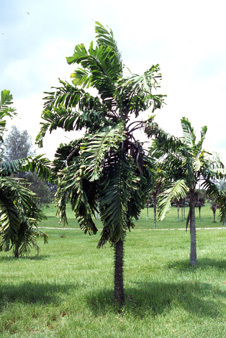 They vary in stem size, and this difference creates a diversity in its growing forms from single-stemmed plants that grow into the forest sub-canopy or just caespitose palms that grow in the understorey, as well as acaulescent palms which do not have an aboveground stem. The spines of this tree are a distinctive characteristic of the genus Aiphanes, as well as other members of the Bactridinae subtribe. They are found almost everywhere on the plants, and are well-developed on the penuncle, stem, and leaf bases. They are formed on the outer tissue of the plant, and can range from between less than 1 mm to more than 25 cm. Flowers are borne in groups of 3. There are usually one female flower together with two male flowers. Sometimes, there are 2 and 2 of each in some species. The female flower colour is not really known. Male flowers are either yellow or cream, while some are also purple flowers. The pollen grains from the flower are either spherical to ellipsoid. Some are also triangular, and are between 20 to 30 micrometres along their axis. The Aiphanesbear edible fruit. 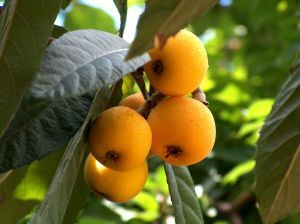 They are usually a spherical, single-seeded drupe that is red in colour. They have a thin skin which can either be spiny or smooth. This covers the fleshy mesocrap, which is orange and sweet. The mesocarp of Aiphanes horrida has one of the highest carotene contents of any plant product, and is rich in protein. The endocarp which encases the seed is either black or brown, and extremely hard when it is mature. The seeds are light brown with a thin testa or seed coat, and a white endosperm. This white endosperm is sweet and is reminiscent of a coconut.